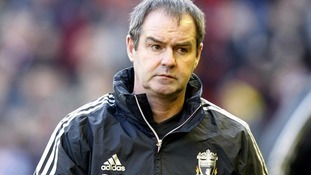 West Bromwich Albion has announced it has appointed Steve Clarke as its new head coach. Albion has been searching for a new manager since Roy Hodgson was announced as England boss ahead of the European Championship. The 48-year-old who is former Chelsea assistant manager and Liverpool coach is signing a two-year contract at the Hawthorns with more than ten years of Barclays Premier League experience. Clarke says he is excited about getting the chance to be the boss for the first time. "I'm absolutely delighted to be given this opportunity. "Becoming a head coach in my own right has always been an ambition of mine and I feel I have served my apprenticeship. "I'm delighted West Bromwich Albion have given me the chance to make that progression and I'm determined to make the most of it." Clarke began his coaching career in 1998 and worked with the likes of Jose Mourinho and the late Sir Bobby Robson. His honours list includes two Premier League titles, an FA Cup triumph and three League Cup successes. “I’m delighted to welcome Steve to the Club. “We firmly believe we have appointed the right man to keep the club moving forward. “After Roy was appointed as England manager, we cast the net far and wide to identify the most suitable candidate to fill his shoes. “From the outset, we decided to pursue candidates who are renowned for their coaching ability and Steve was very much at the forefront of our thoughts because of the clubs he has worked at and the high regard he is held in within the game."